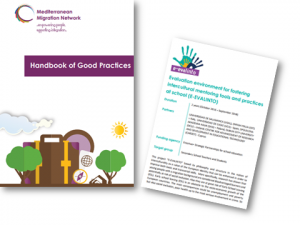 The E-EVALINTO project was included to the Booklet of case studies, testimonials and collaborative programs that was created within the framework of the Mediterranean Migration Network (MMN) project. In detail, CARDET is the coordinator of the Mediterranean Migration Network (www.migrationnetwork.org), an initiative that aims to establish a multilateral network with countries in the Mediterranean region. One of the objectives of the MMN is to support the exchange of information and best practices among organizations active in the fields of migration, integration and diversity. You can access the booklet here.